I am posting again on my infant 360 degree appraisal series. Moving on from ‎core abilities, I will now focus on social ability. Social ability is probably as important, if not more so than cognitive ability. There are plenty of people with excellent cognitive ability who somehow don’t succeed as well as they might because they find being with other people difficult (or others find difficulty in being around them), and we all know people who are not the brightest spark, but get very far being affable, cheeky and great fun to be around. The funny thing is that although maths and English are actively taught at school, social ability is not a taught course. Children must somehow divine social understanding from what they observe or experience going on around them. Luckily for most of us, evolution has imparted us with specific hardware within our brains to assimilate and use such information about our social world. Not so lucky for children where this hardware is impaired (e.g. in autism). Babies will typically smile at around 6 weeks of age. Isn’t it strange that this relatively useless developmental milestone is acquired so early? Not really, when you think about the evolutionary advantages gained by a smiling baby. If you are running from a flood, would you be more or less likely to take your baby with you if it was always smiling adoringly at you? Yes their smiles are evolutionarily engineered to aid their survival, we parents are such suckers. Another early developmental marker of social ability is a preference to look at faces, and in particular eyes. The centre of human communication is a person’s face. This is the input and output zone for verbal communication and where non-verbal communication is the most expressive. Most adults can tell what another adult is thinking by looking at their face even if they are not saying anything. Even when the person is saying something, the face can convey a different message. There are lots of emails that I have received where I have been unsure about the meaning (joke- or not joke?) because I have been unable to judge the face/ tone of voice with which the email has been written, which exemplifies the importance of non-verbal communication. So common is this problem and so useful is the face, that we now commonly use a face picture in our emails to depict the meaning of emails that we send! Typically developing babies and children are born with in-built ability to hone their attention to people and faces because they know this is where the bulk of social context is going to be gained (Chawarska 2013). No one teaches a baby to do this, you either have it, or you don’t. Early on as a parent, you can check your baby’s social ability hardware by checking whether he/she prefers to look at your face/ eyes and if their eyes follow you Mona-Lisa like around the room. Babies and young children are primed to attend to their parents’ every action and imitation is present from a very young age. If you make faces at a young baby, chances are, at some stage you will see the baby trying to move his/her face to copy your expression. There are hours of fun to be had doing this. This is early social learning. Later on, they will imitate the vocal sounds that you make, the embryonic stages of speech development, another critical branch of social development. Babies and young children are also primed to attend to their parents’ emotions, particularly of fear. I acutely remember breast feeding Big Sis while watching a horror movie late one night. At one point, I held my breath in anticipation of something horrible happening on screen. It would have been imperceptible to most people as I did not move or make a sound, and yet, Big Sis stopped suckling, tensed and looked at me. It’s no coincidence that if you start having an argument with your baby in the room, they start crying. Humans are social beings, they live in communities and societies, they typically like to socially interact. Early social interaction and turn-taking can be assessed by playing with your baby. The typical Peek-a-Boo game (hide your face, then show your face making your baby laugh) popular to all parents and babies is part of the Autism Diagnostic Observation Schedule (ADOS). It is an early indicator of ability to turn-take, an understanding of social reciprocity, of an interaction between two people, a precursor to to-and-fro conversation, to give-and-take in a relationship. If you are an autism specialist, a first birthday cannot pass without performing a simplified version of the “baby’s birthday party” test from the ADOS. This test is where you set up a dolly’s tea party and play. 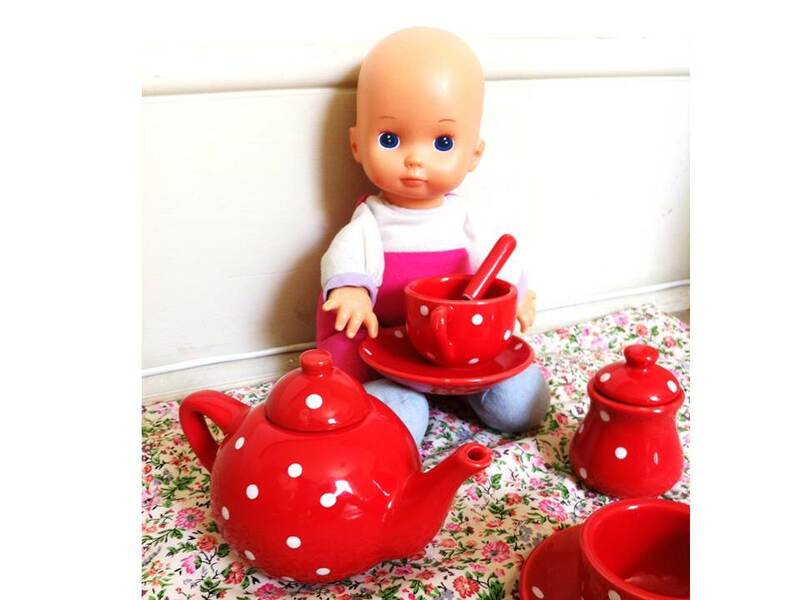 Many typically developing children are able to give a baby doll a pretend drink from a toy tea cup at the age of 1 year, particularly if they see their parent doing it. If your child is not doing this, don’t worry, many typically developing children acquire this ability to pretend later on, but if they are doing it at age 1 year, as my children were, then it is a sigh of relief that one aspect of their social ability mechanism (pretend play) is functioning. These building blocks to social ability develop at varying times during infancy in different children, but should be in place by the time of school start. The Autism Diagnostic Observation Schedule has recently been revised to include a Toddler module as it is now recognised that traits are observable at this young age, and in an attempt by professionals to gain early diagnosis to allow children and their families help from as early a stage as possible. It is really helpful to have an early heads-up on potential social problems because school is like the “Hell’s Kitchen” of social ability. Children can get away with pretty poor social skills at home with their parents and adult company, because contrary to popular belief, most adults are nice to children. 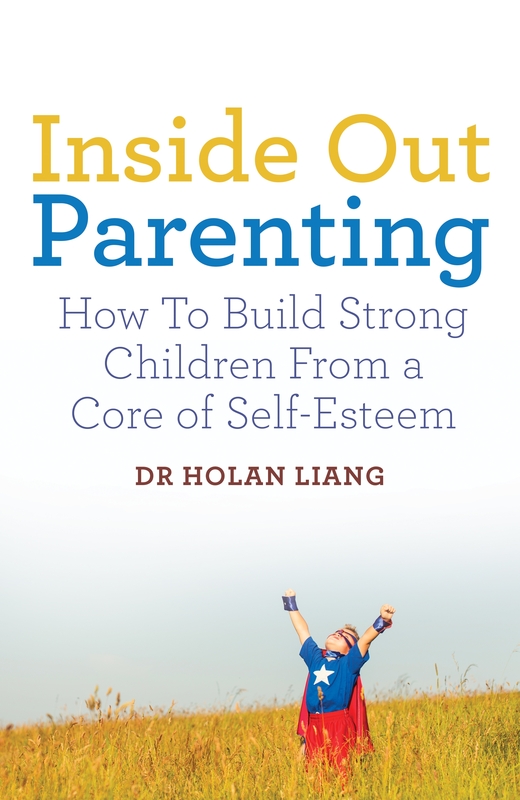 Children, on the other hand take no prisoners – and going into reception with immature or absent social understanding and ability is truly hard. When you throw a bunch of children together, that’s when things get really interesting and I will write about this in my next blog on this topic. Chawarska et al. 2013. Decreased spontaneous attention to social scenes in 6-month-old infants later diagnosed with autism spectrum disorders. Biological Psychiatry, 74, 195-203. The Autism Diagnostic Observation Schedule (ADOS) is one of the gold standard diagnostic tools for assessing Autistic Spectrum Disorder. Children and adults with autistic spectrum disorder have deficits in social interaction and communication (as well as repetitive behaviours and restricted interests). The schedule involves games and set conversations to be enacted with the child or adult to press for social interaction and exchange. It is designed so that the assessor initially allows the child to display their natural social ability, but then allows the assessor to give staged prompts to get the best ability out of a child if it is not naturally forthcoming. Scores are given for deficits in social interaction and communication, and autistic spectrum disorder is suspected once a threshold is crossed. Most typically developing children and adults, even the very socially able, will score something on the ADOS, and it would be highly unlikely for someone to score 0, so just because your child has some deficits, it does not mean that they are autistic or on the autistic spectrum. Despite tools such as the ADOS and the Autism Diagnostic Interview (ADI), Autistic Spectrum Disorder diagnosis remains a specialist clinical judgement.